Currently on a different version of Digital Analytics? 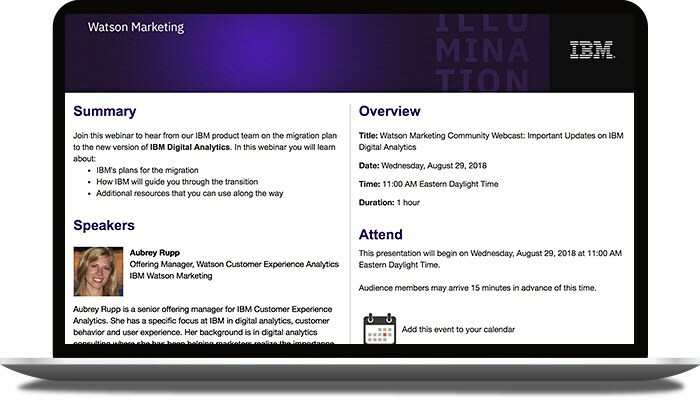 IBM can help you make the transition. 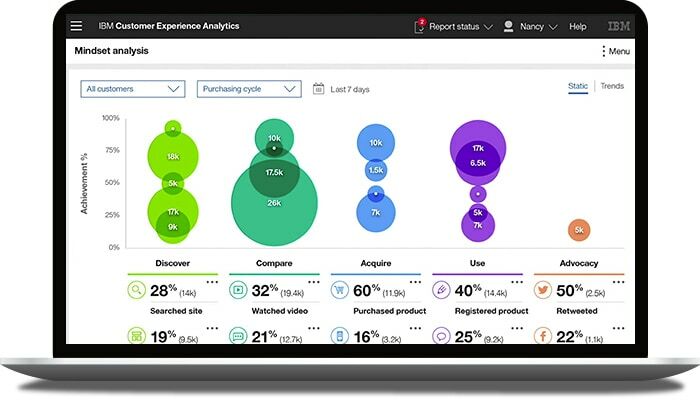 IBM Digital Analytics, formerly Coremetrics, is now part of Watson Customer Experience Analytics, a holistic solution that includes both cross-channel journey analytics and customer behavior analytics. With actionable insights on your digital customers across multiple channels, you can deliver more targeted, personalized offers. This solution helps you increase conversions, accelerate customer lifecycle progression and provide higher returns for your marketing dollars. 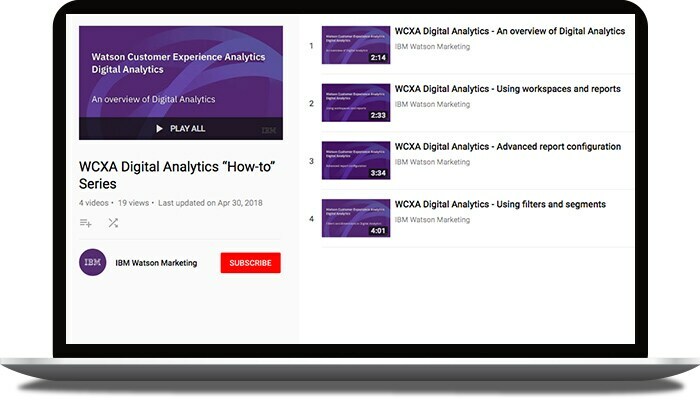 This four-part video series covers basic navigation and key features of the next generation of Digital Analytics. Find out how to modify all reports in a single workspace, and how to create, edit and share workspaces. Learn to use the configuration panel to see the exact information you want to see in your reports, when to use filters and segments, and the differences between each. Want to learn more about the next generation of Digital Analytics? Watch these on-demand, self-paced training modules designed to provide you with all the help you need – from data collection and tagging fundamentals to advanced report configurations. 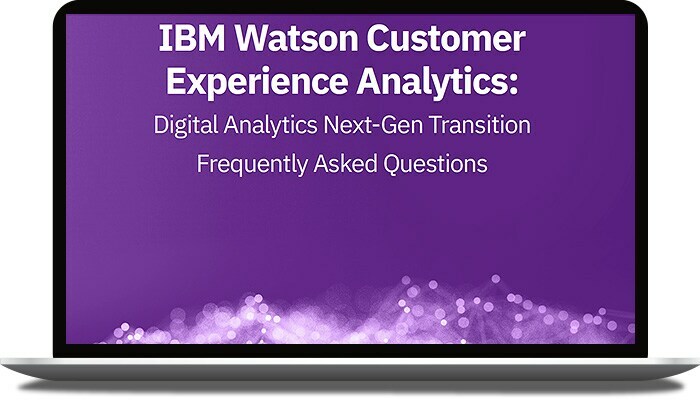 Still have questions on the next generation of Digital Analytics? 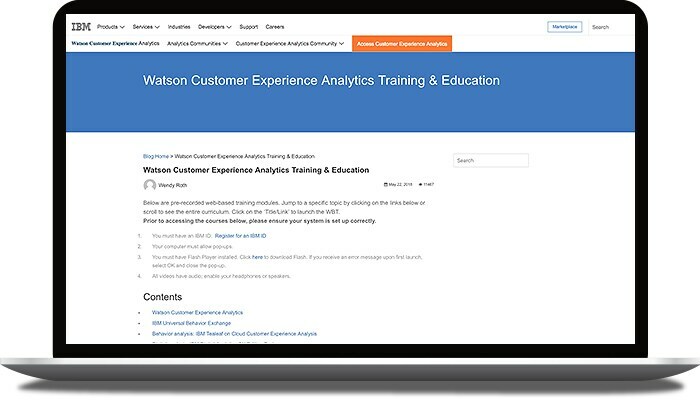 This Digital Analytics to Watson Customer Experience Analytics document details how the transition will impact your business, key transition dates and resources to help you get started. Register to hear about the transition to the next generation of Digital Analytics in our upcoming webinar. Access the list of upcoming webinars and replays of prior events. 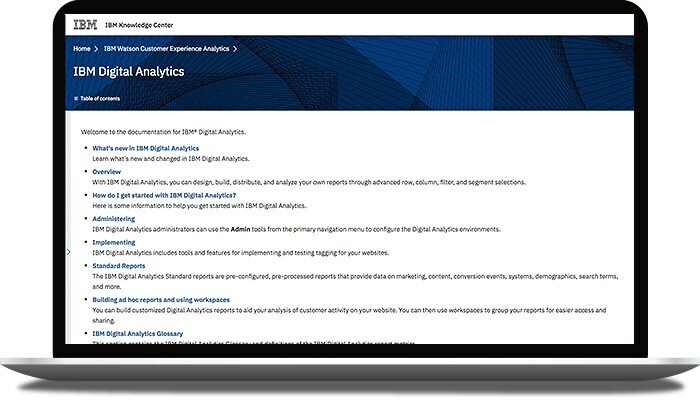 See what's new in Digital Analytics. Learn how to build standard and ad-hoc reports using workspaces. Get answers to your questions on implementation, administration, product documentation and everything else you need to get started.